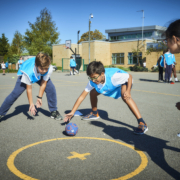 Sport for all – so everyone can experience the many benefits that sport brings – is a cornerstone of our work and underpins everything that we do. Participation in sport brings so many benefits; it improves physical and mental health, provides social interaction, breaks down barriers and brings people together. We go beyond football to encourage more people to play sport and be more active on a regular basis. We are committed to increasing both the number and quality of sports coaches working in schools and across our organisations, as well as ensuring that these coaches have the skills to engage with all sections of our communities. 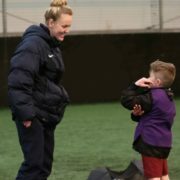 Increasingly, our schemes are delivering a range of sports such as futsal, rugby, cricket, hockey, basketball, dance and fitness to engage with a broader base of participants and meet the demands, particularly of young people, who want to experience different sports. The Move and Learn Programme has got over 80,000 children moving and teaches them the benefits of a healthy lifestyle. From Soccer Schools to After Schools clubs and from Multi-Sport to Match Day Experience, our network offers a wide range of activities, built upon a foundation of sport, inclusion, health and education supporting young people in living healthy active lives. The Kids and Girls Cups are the largest school football competitions in the country with over 20,000 children taking part each year. 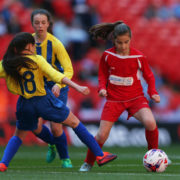 The competitions offer the once in a lifetime opportunity of playing on the hallowed Wembley turf before four major EFL finals. 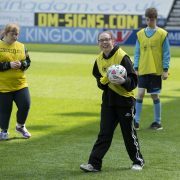 The Every Player Counts programme covers a wide range of disabilities with the simple aim of getting more people involved in sport. Funded by Wembley National Stadium Trust over 3,000 people were introduced to sport in the first year of the programme. Over 1,500 men and women take part in Walking Football annually from over 200 club teams. 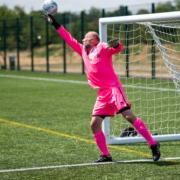 The slow-paced version of the beautiful game, aimed specifically at the over 50s, has grown enormously over the last few years with proven health and social benefits of its participants.